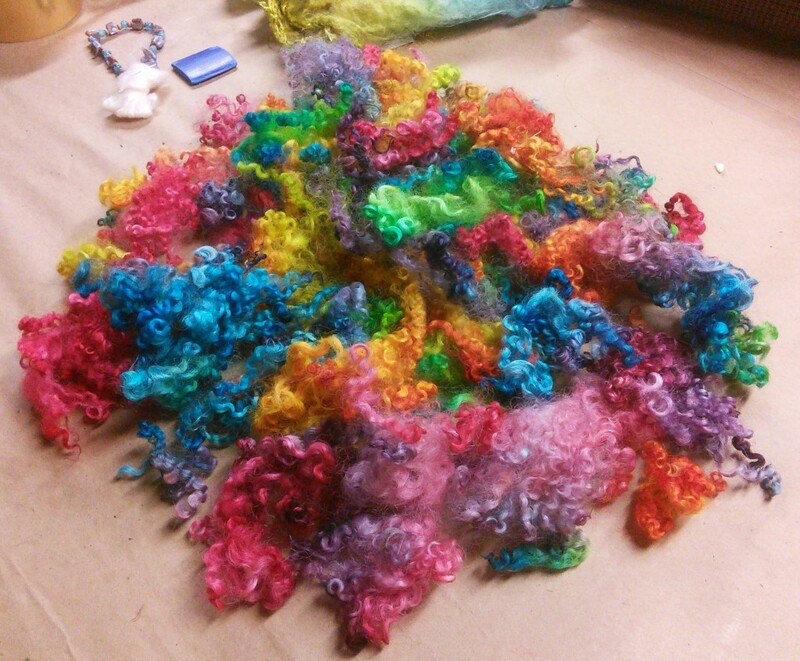 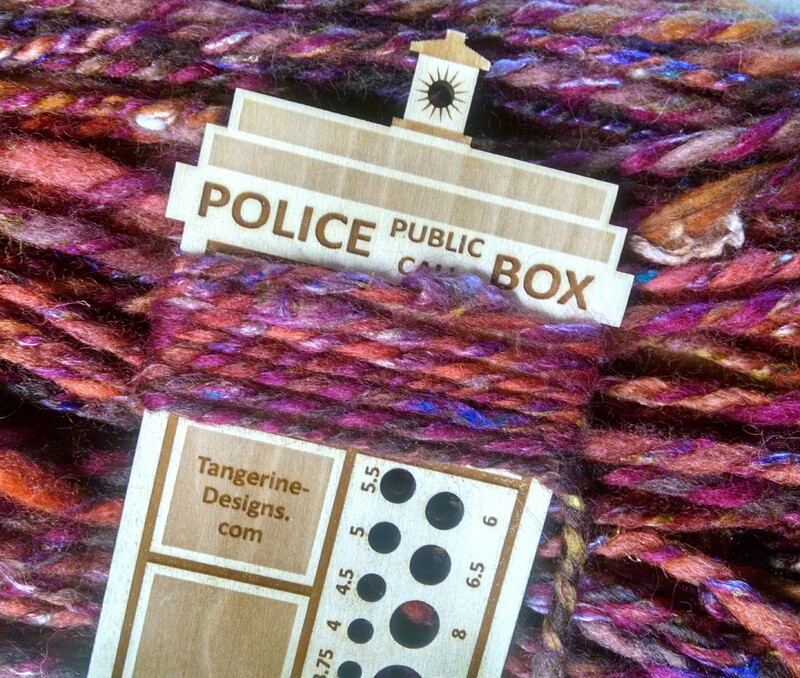 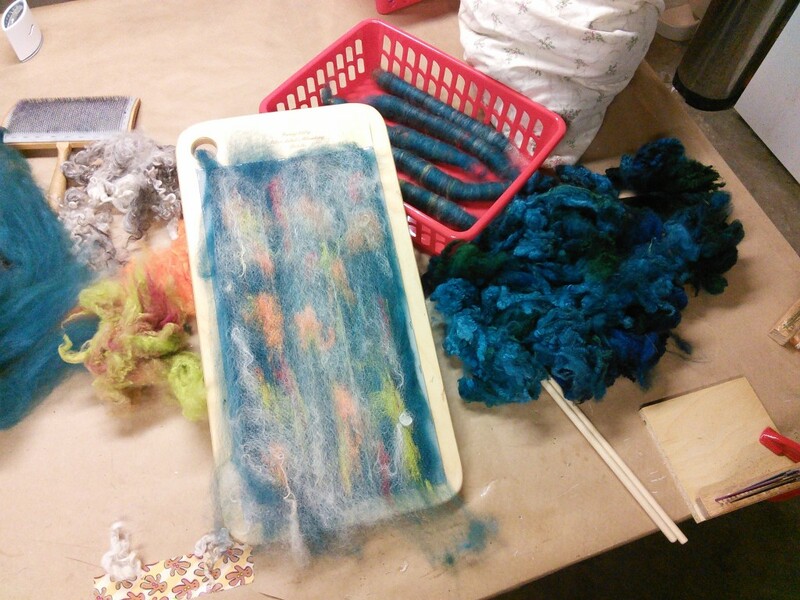 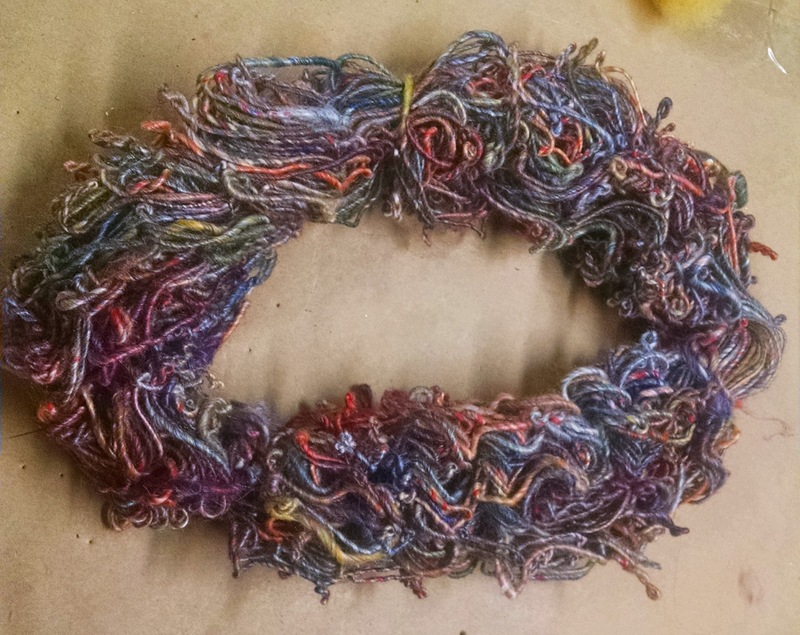 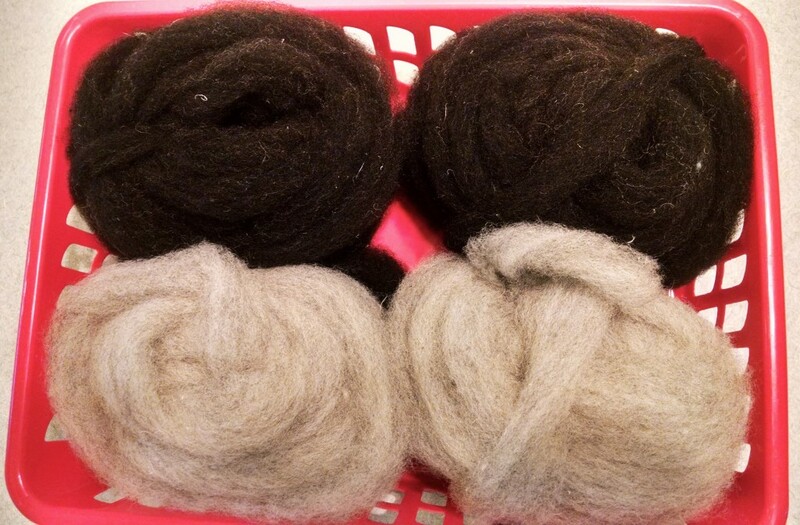 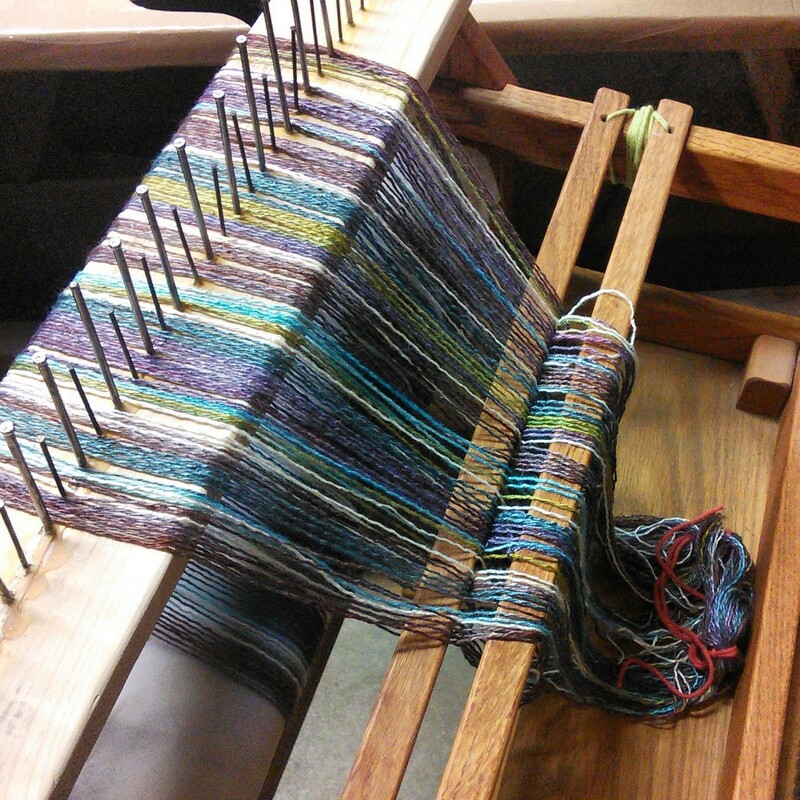 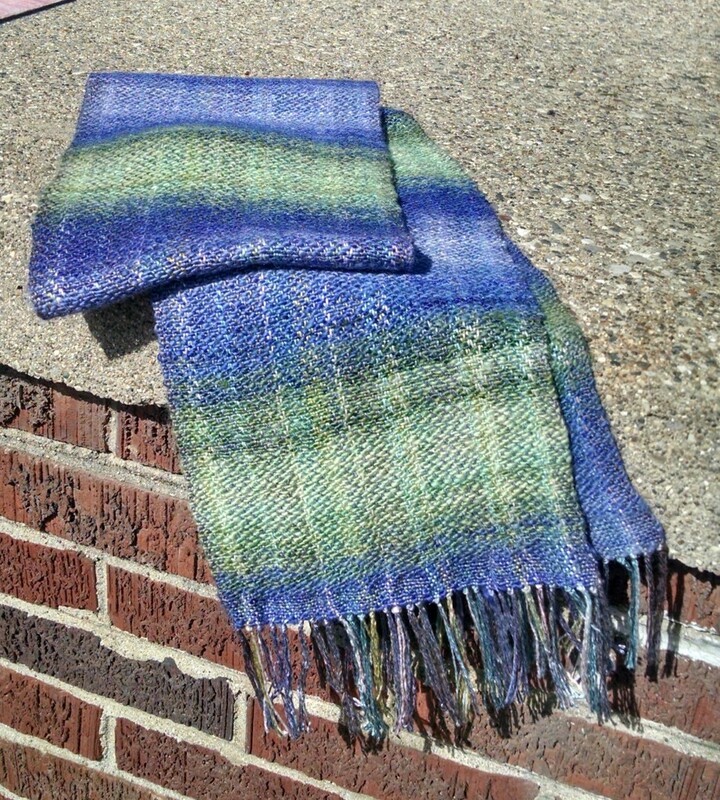 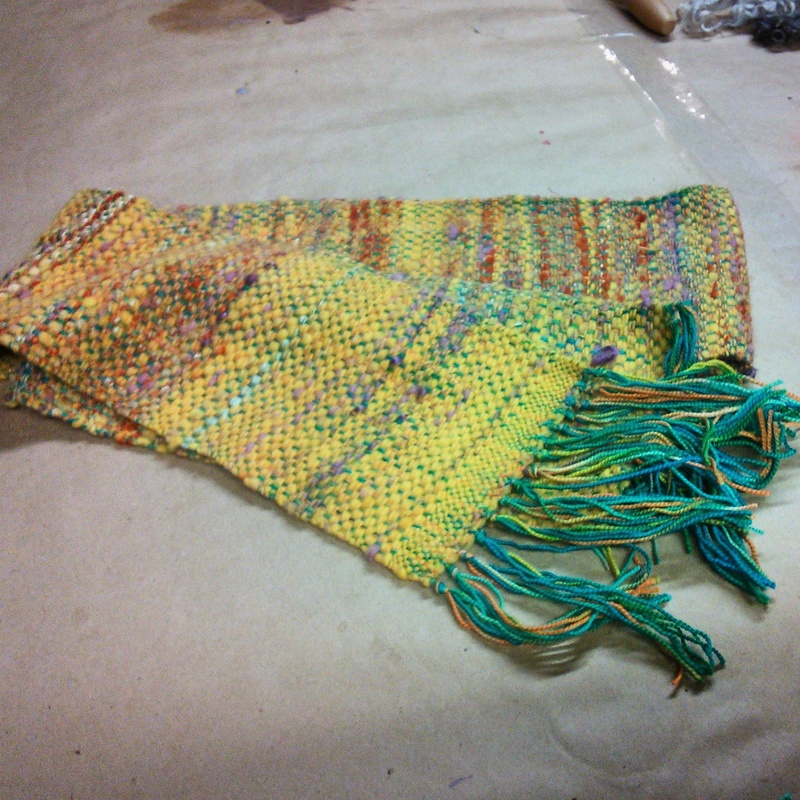 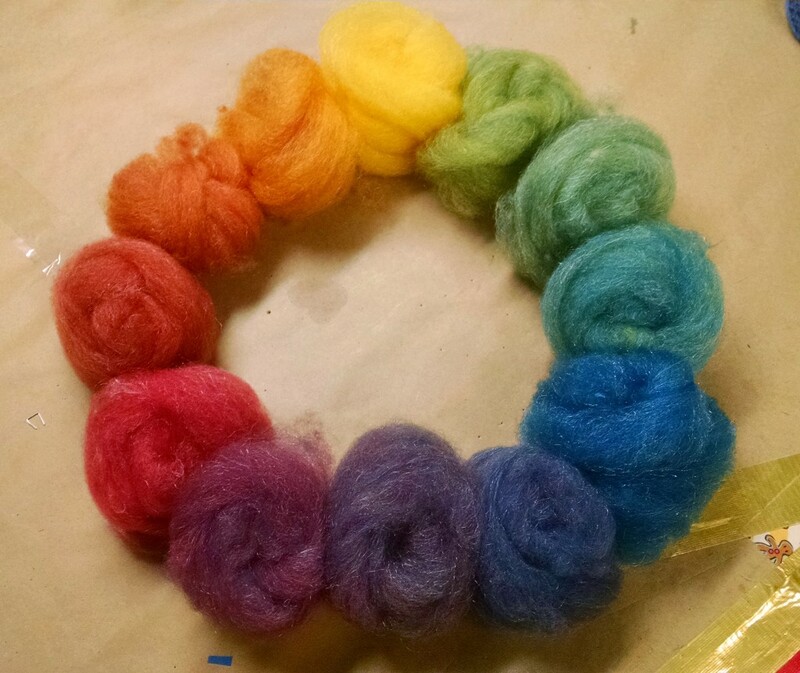 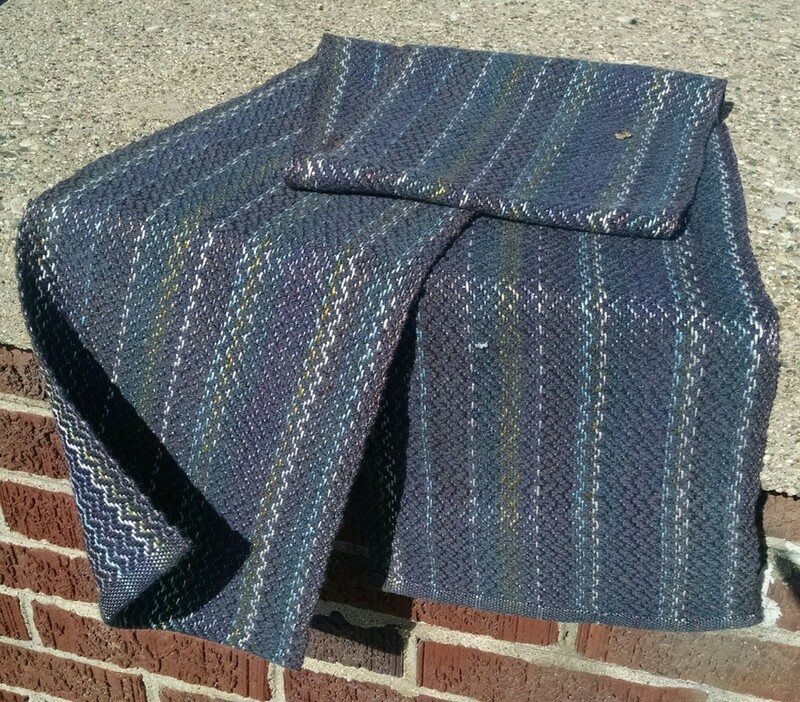 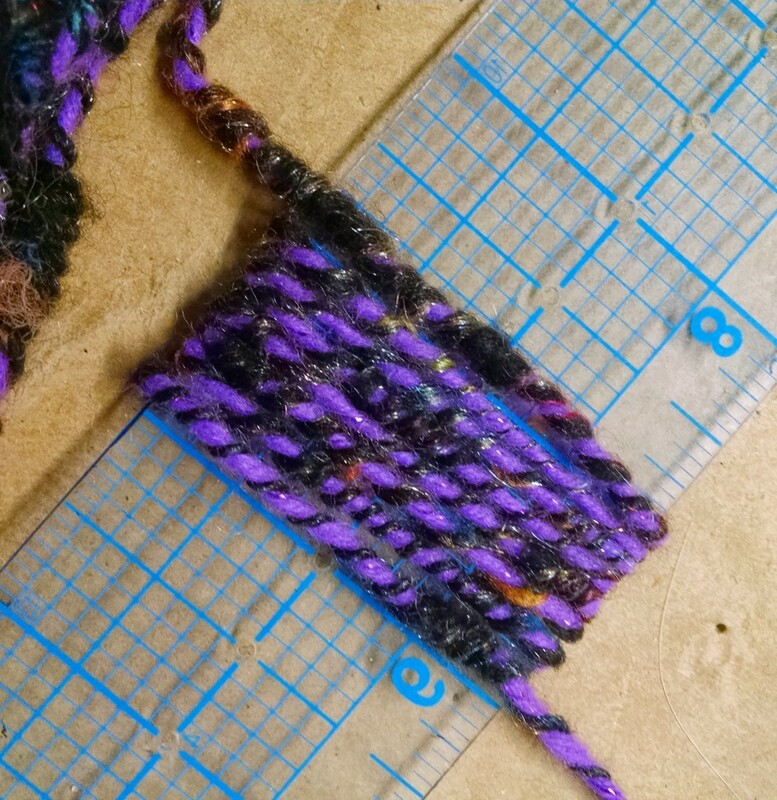 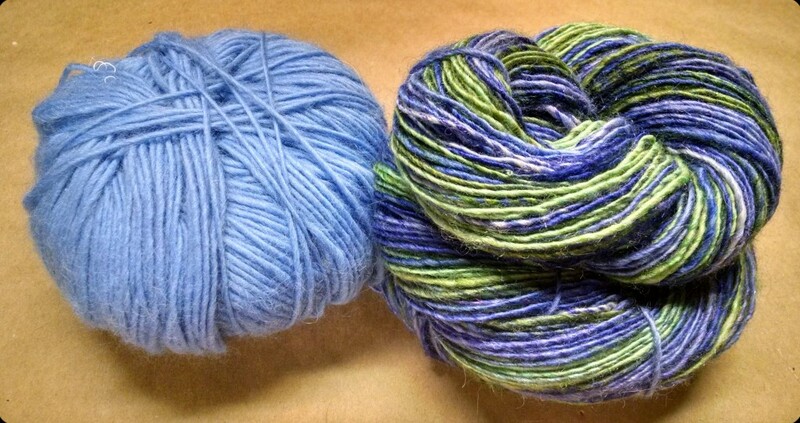 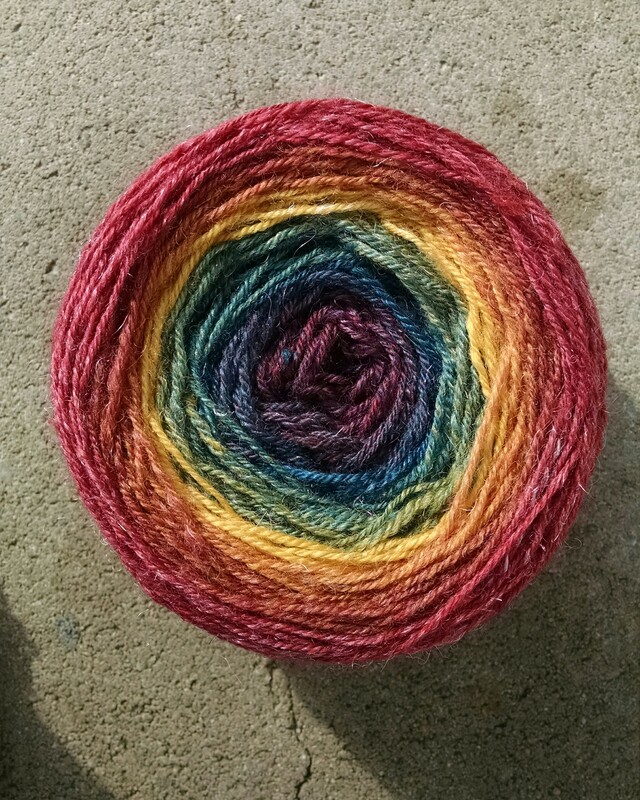 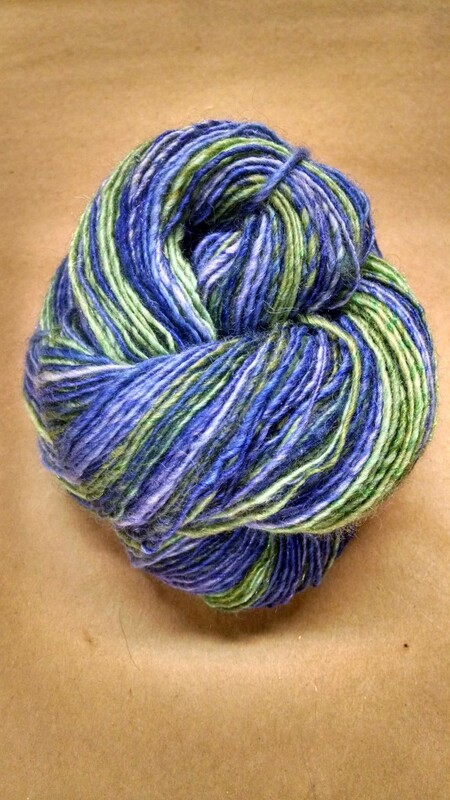 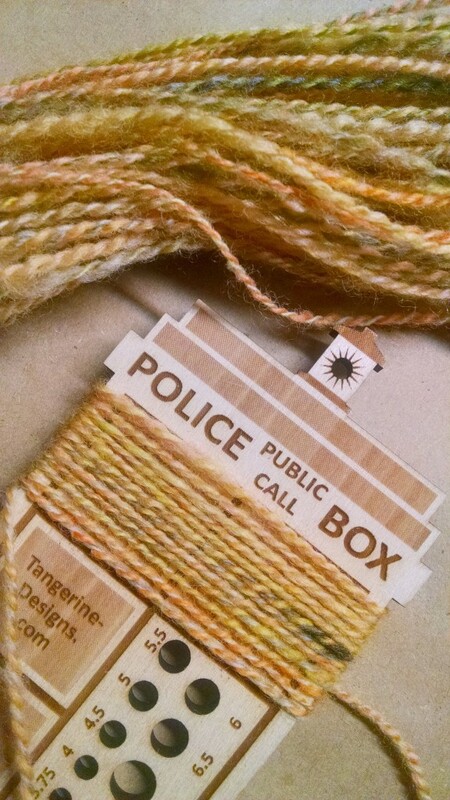 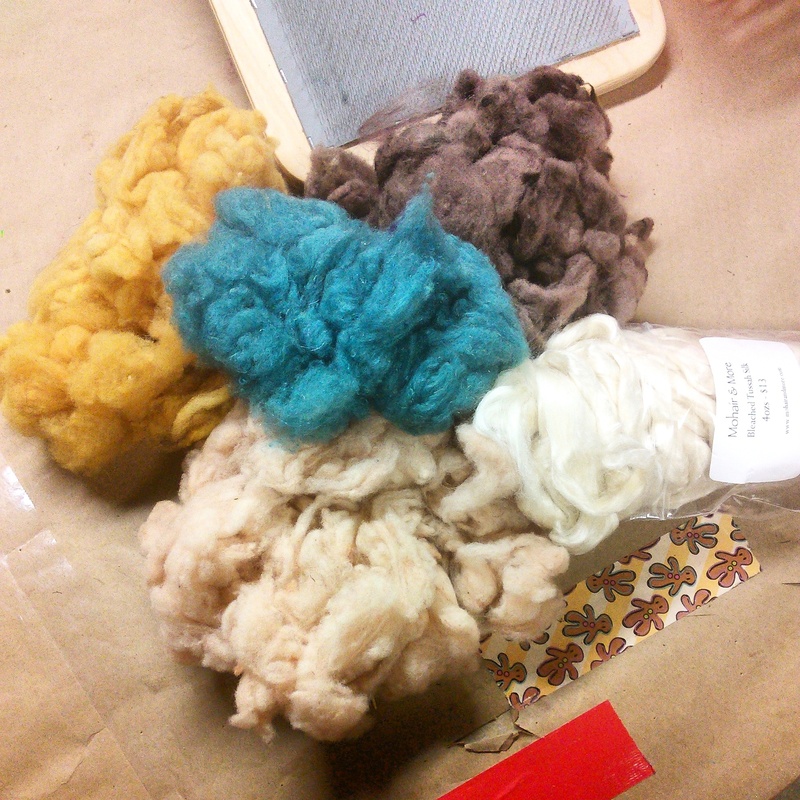 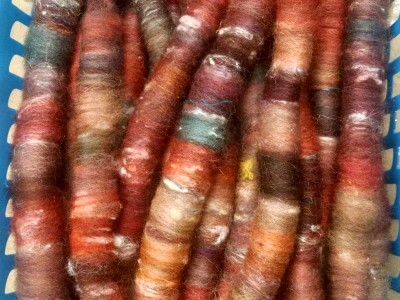 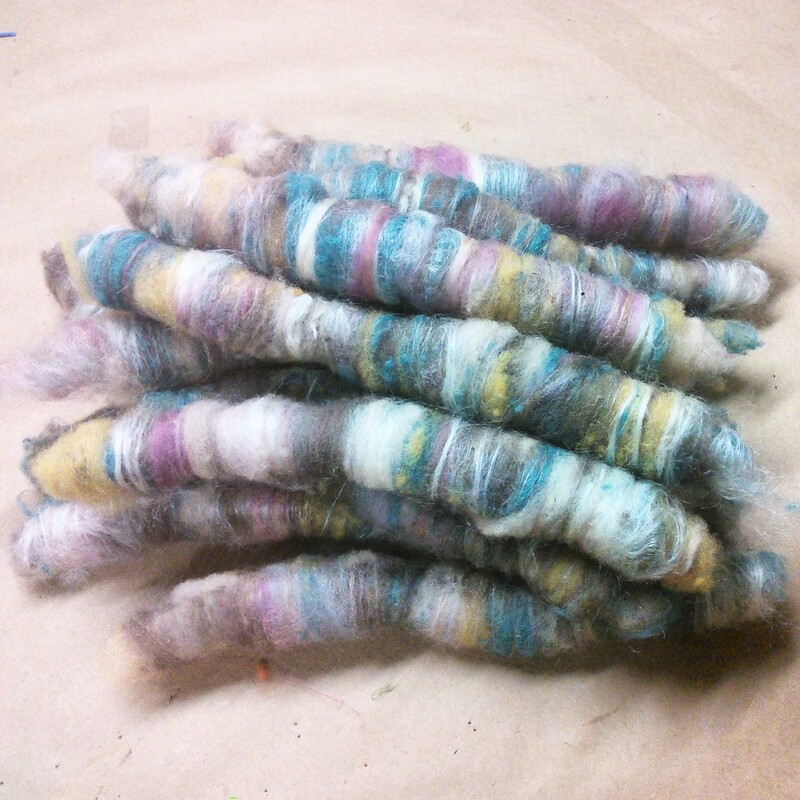 Every once in a while I need to make a boucle yarn; simply to remind myself why I don't make boucle yarns. 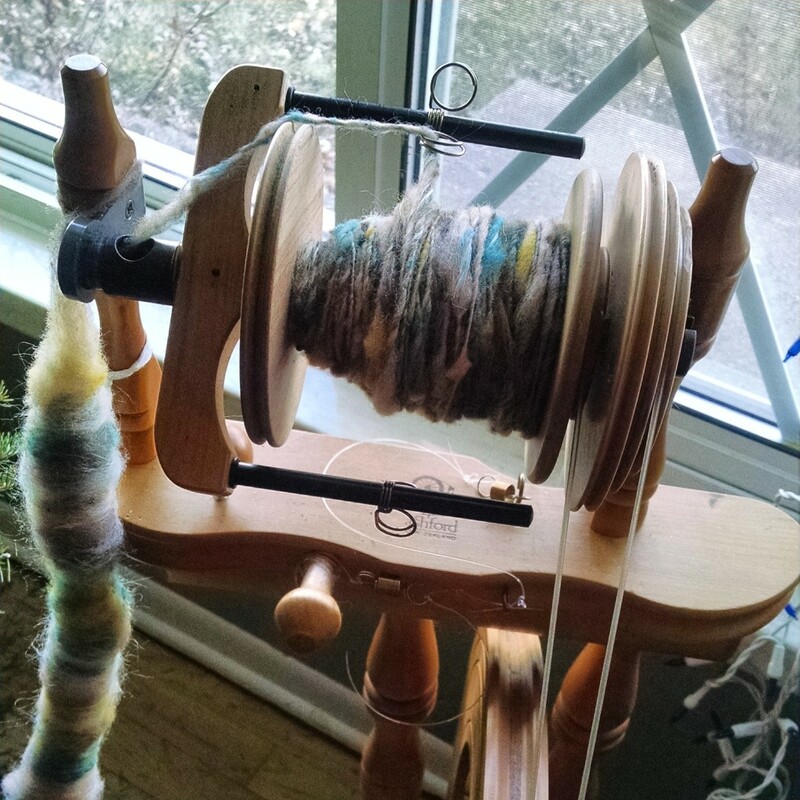 Corespinning a balanced yarn is hard. 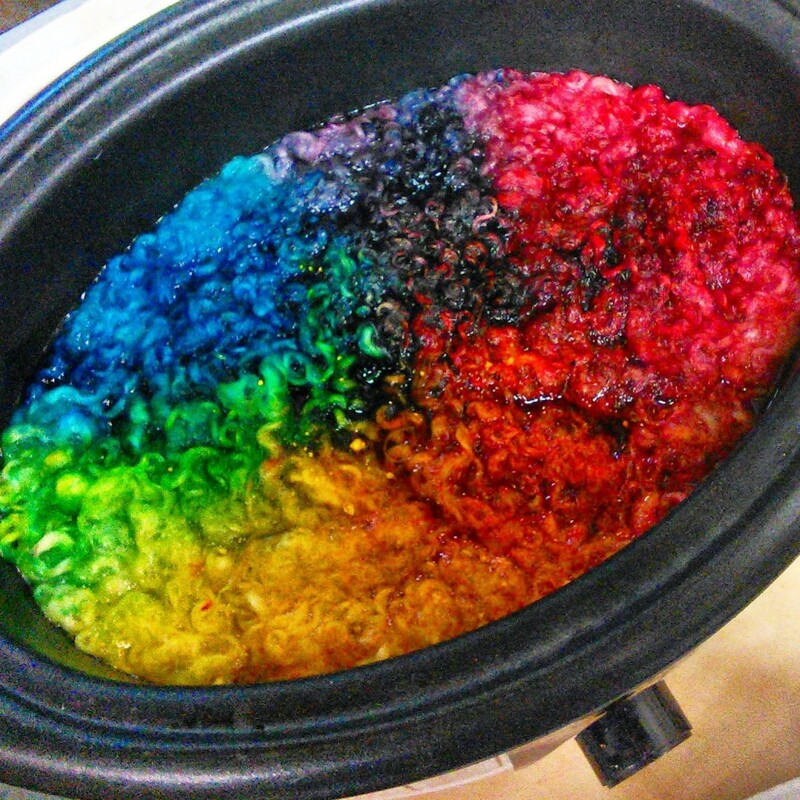 Very very hard. 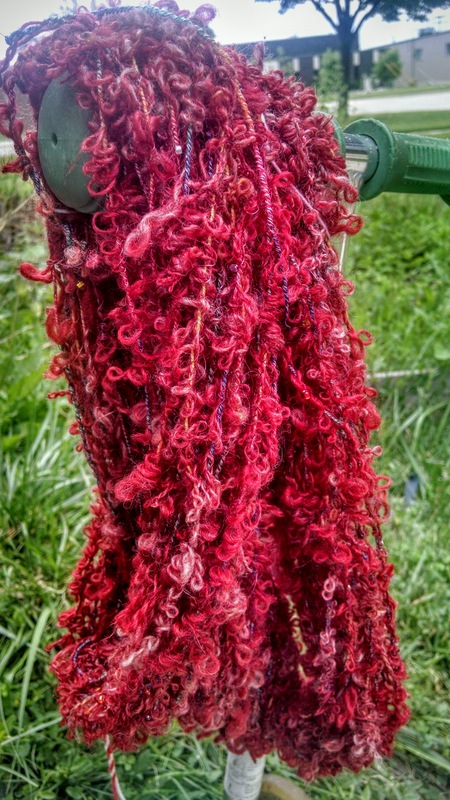 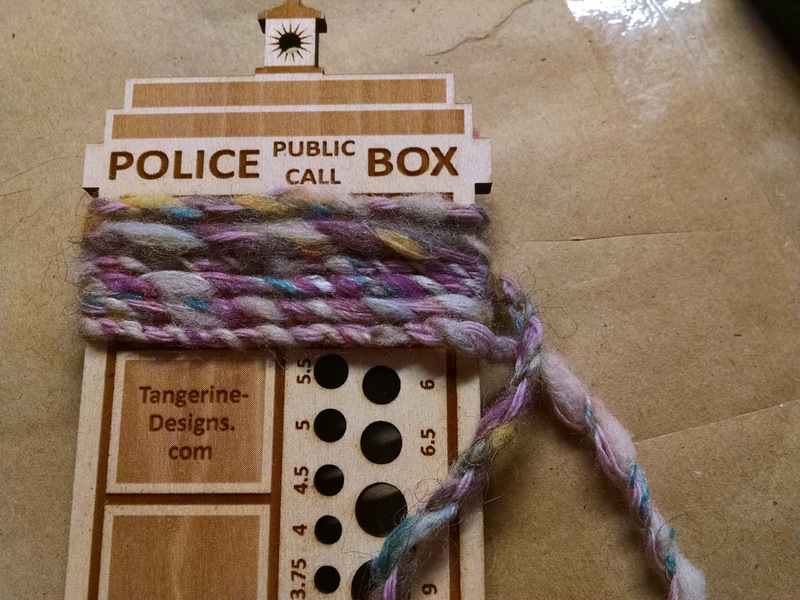 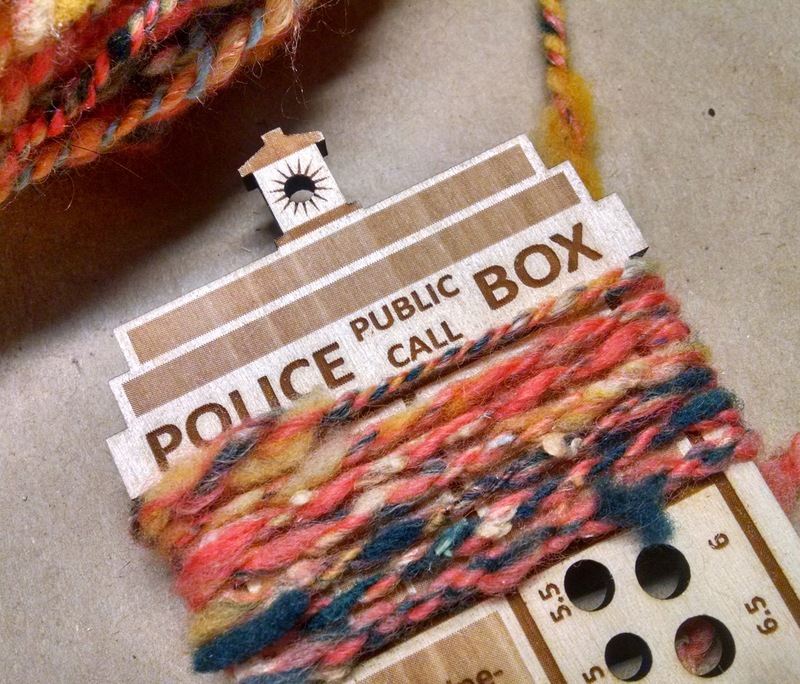 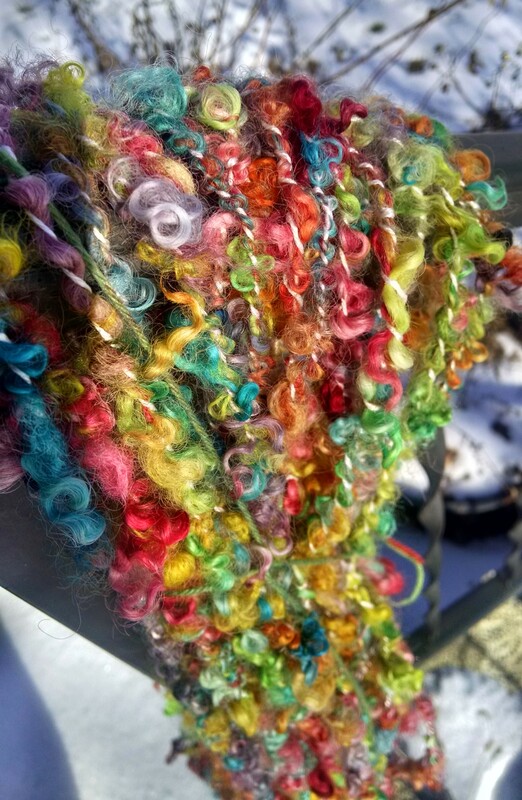 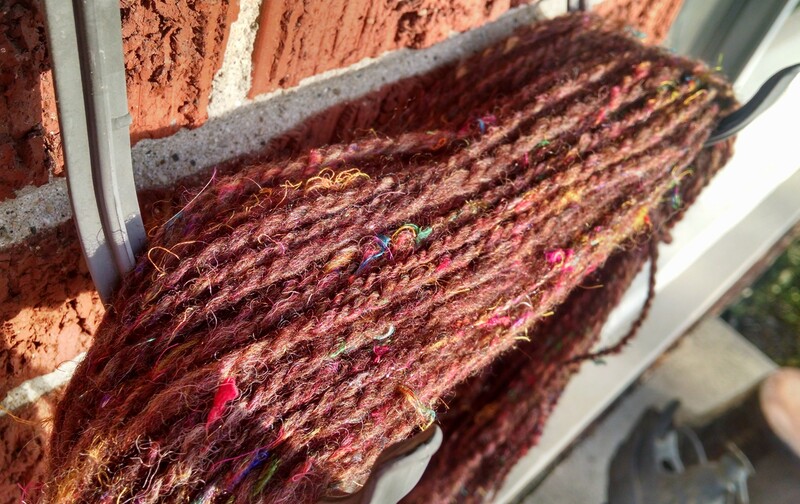 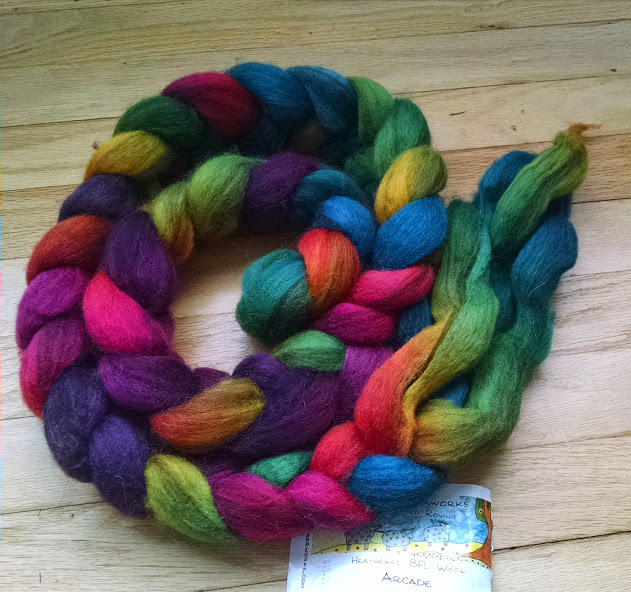 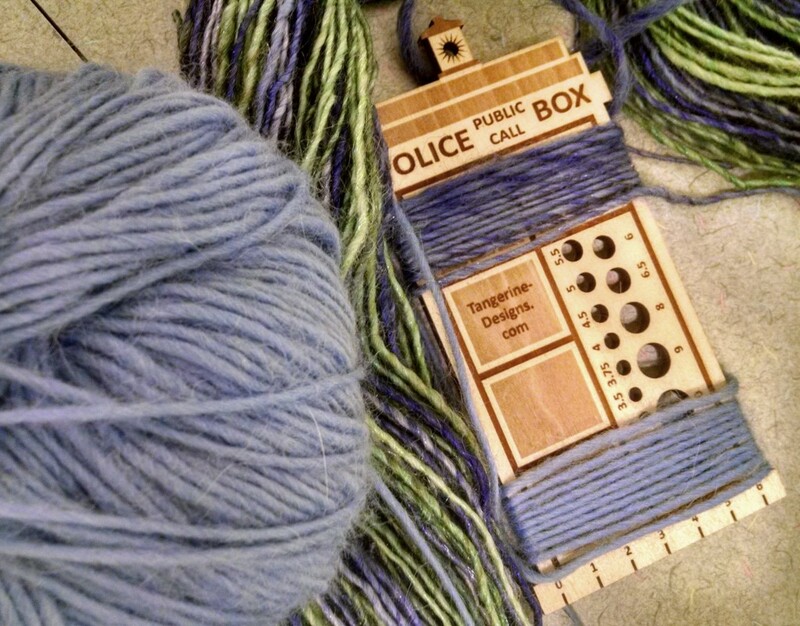 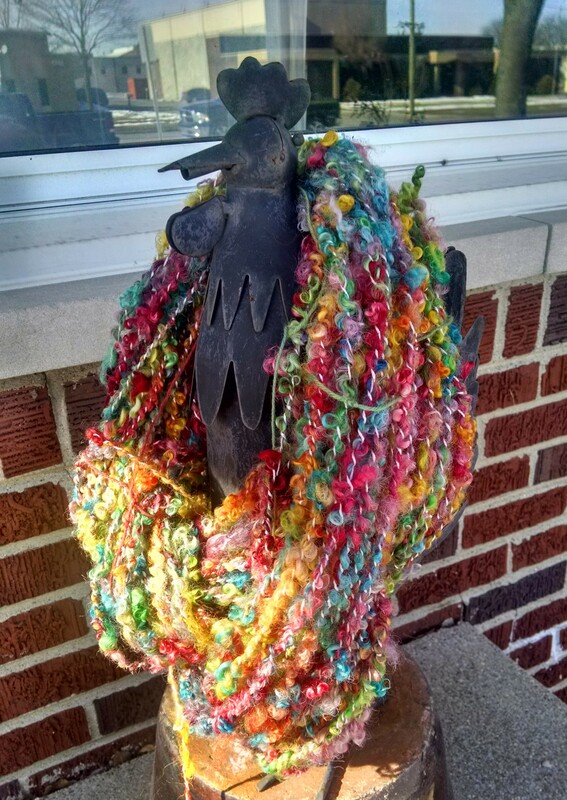 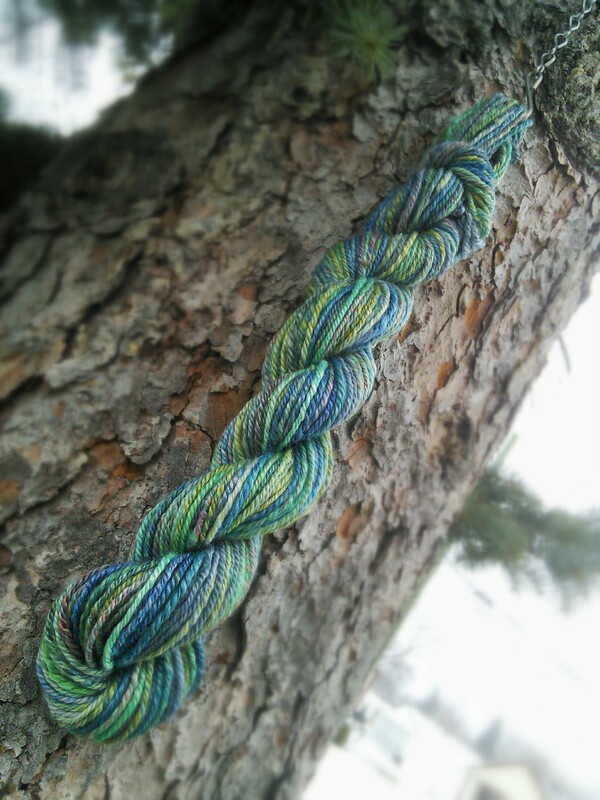 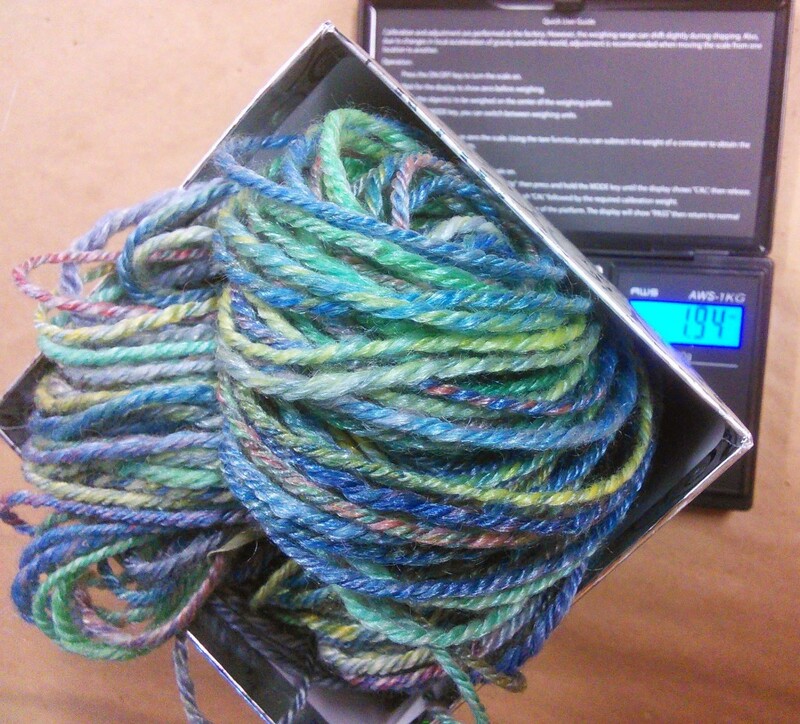 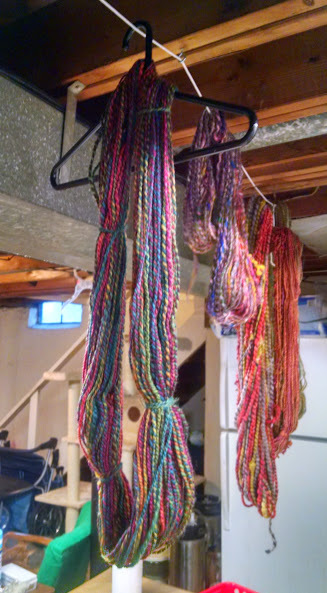 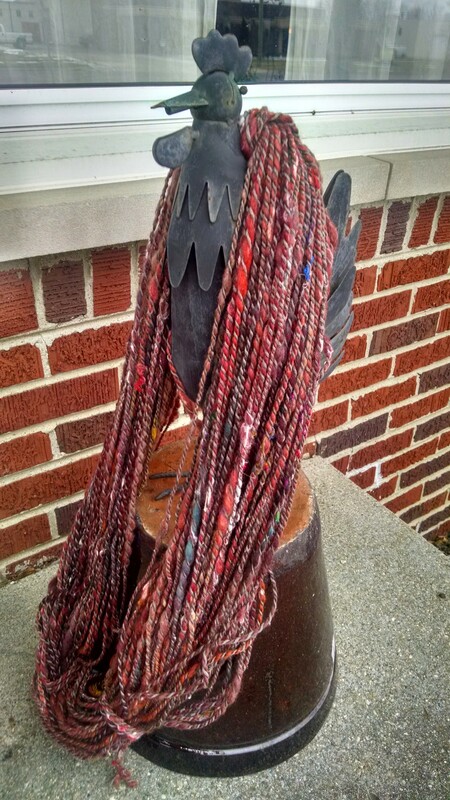 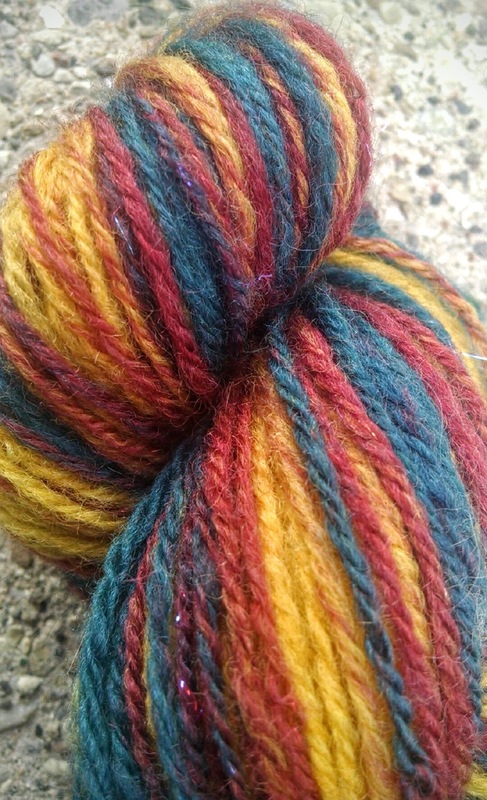 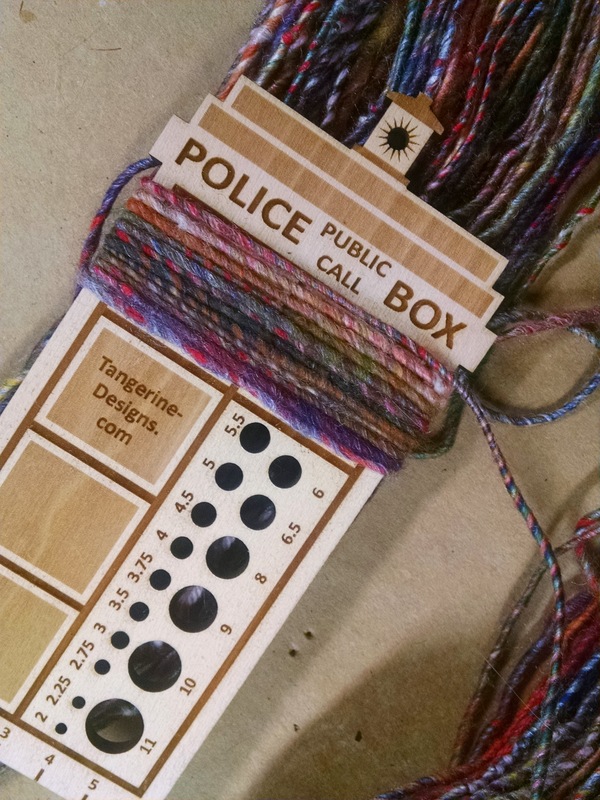 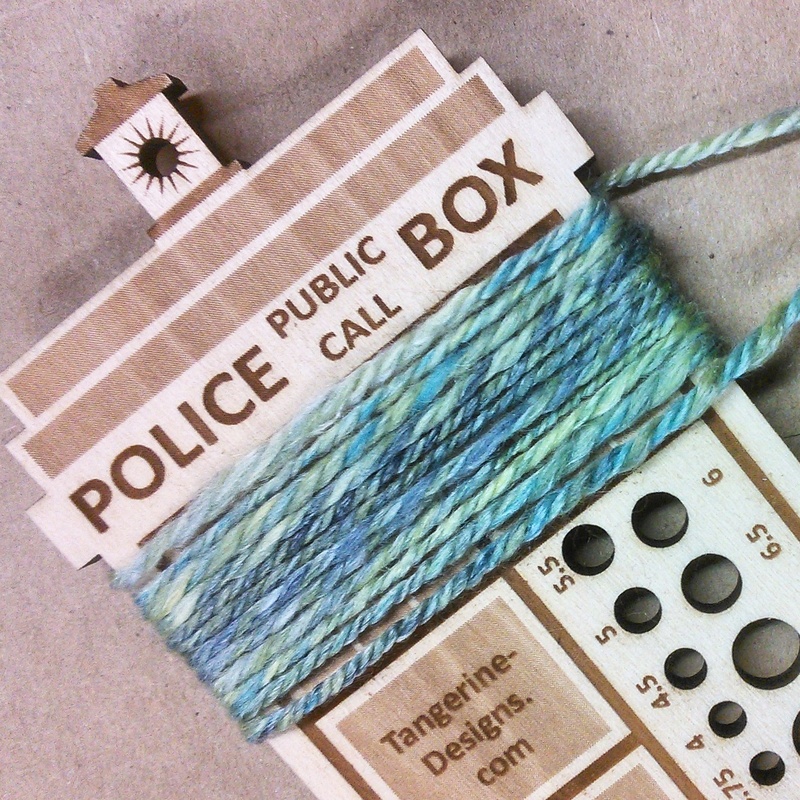 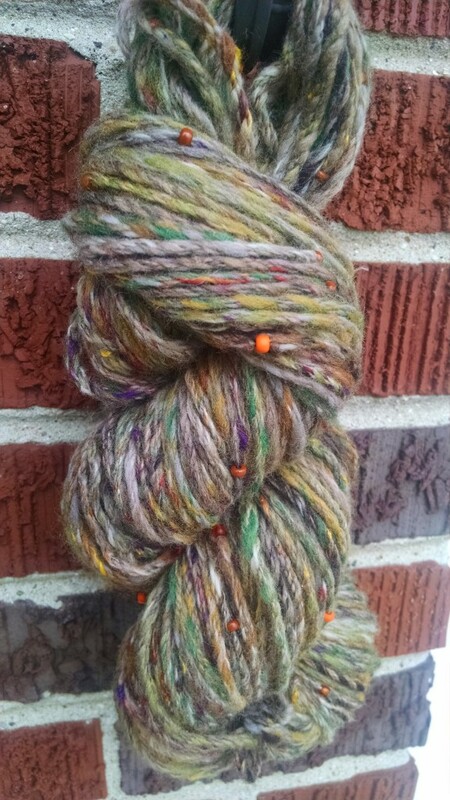 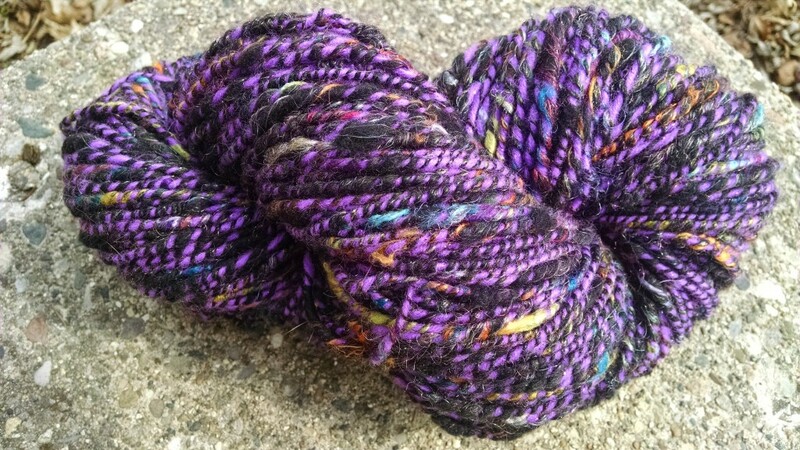 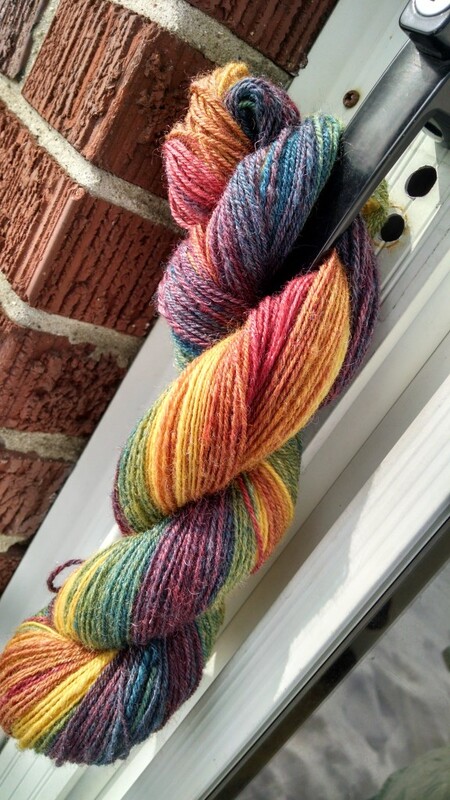 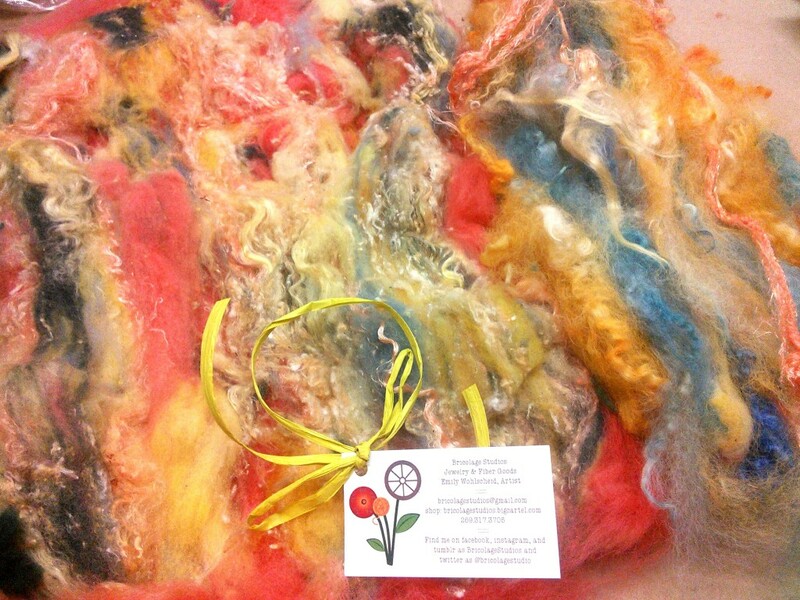 This crazy yarn clocks in at 5.1oz, 6wpi, and approx 85yds of worsted yarn. 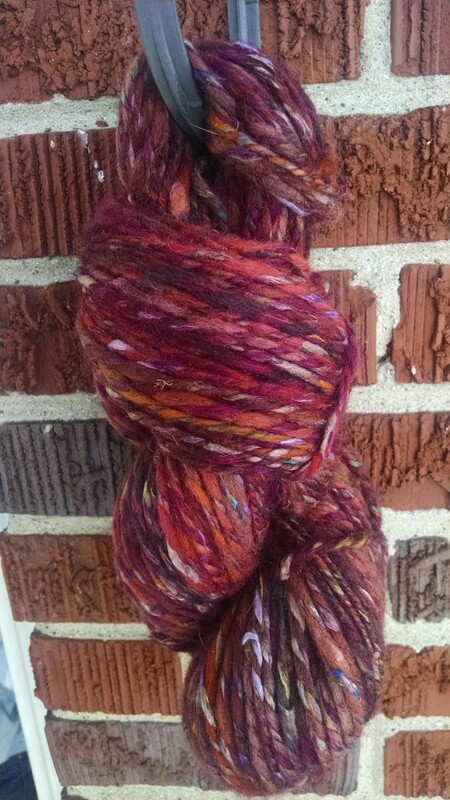 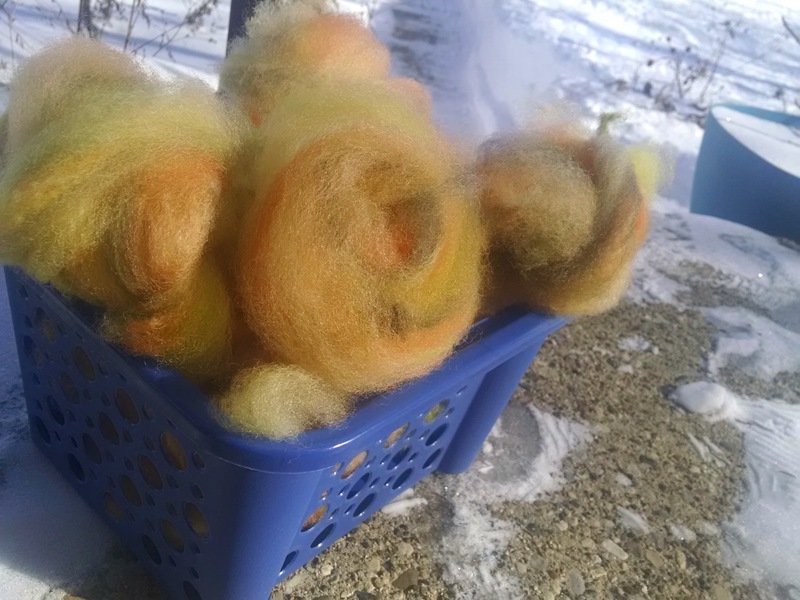 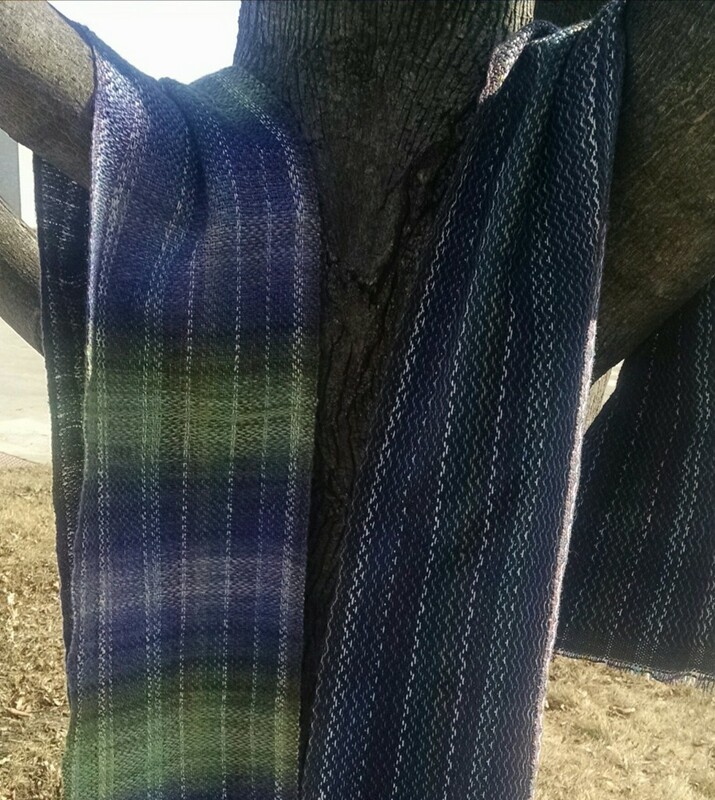 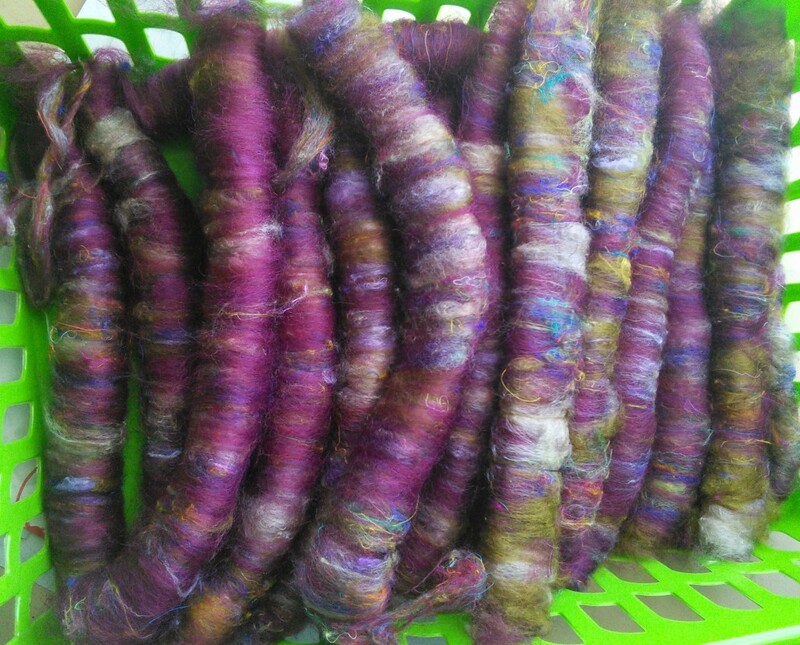 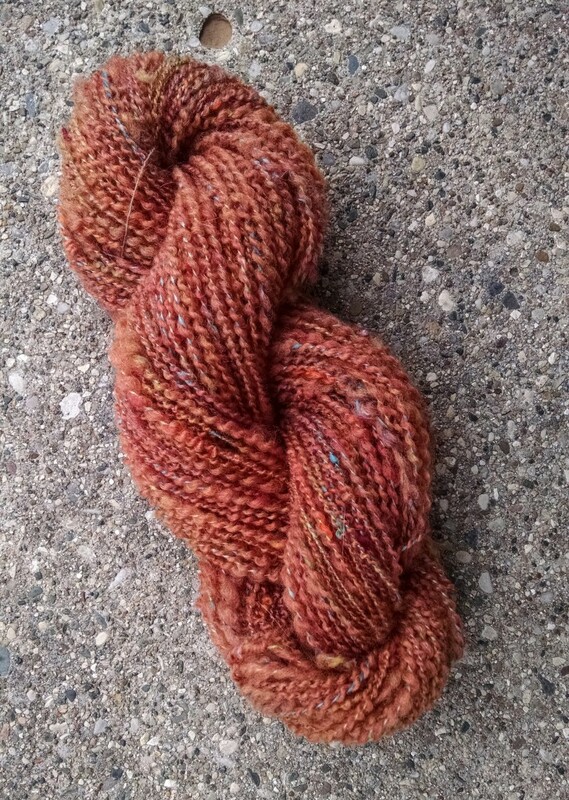 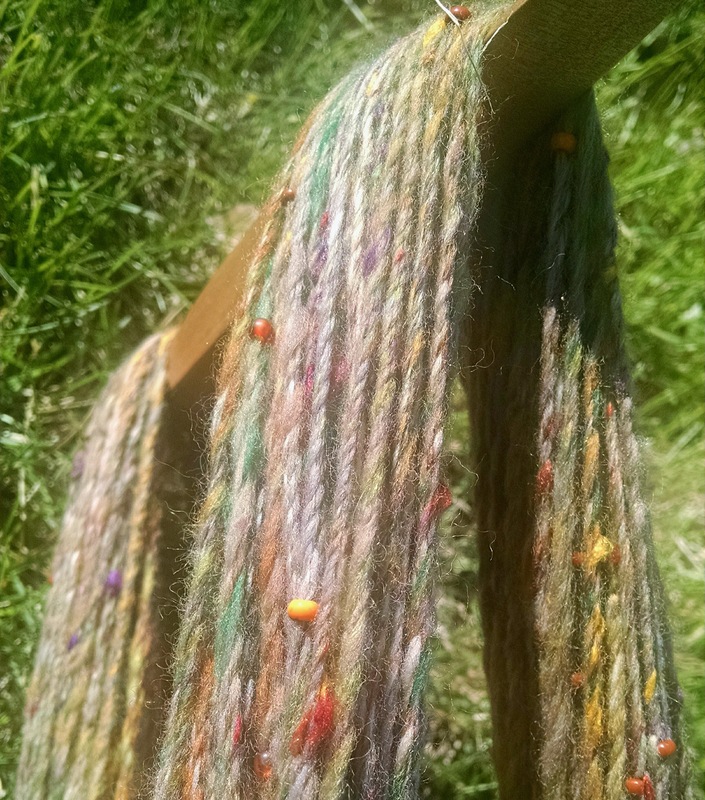 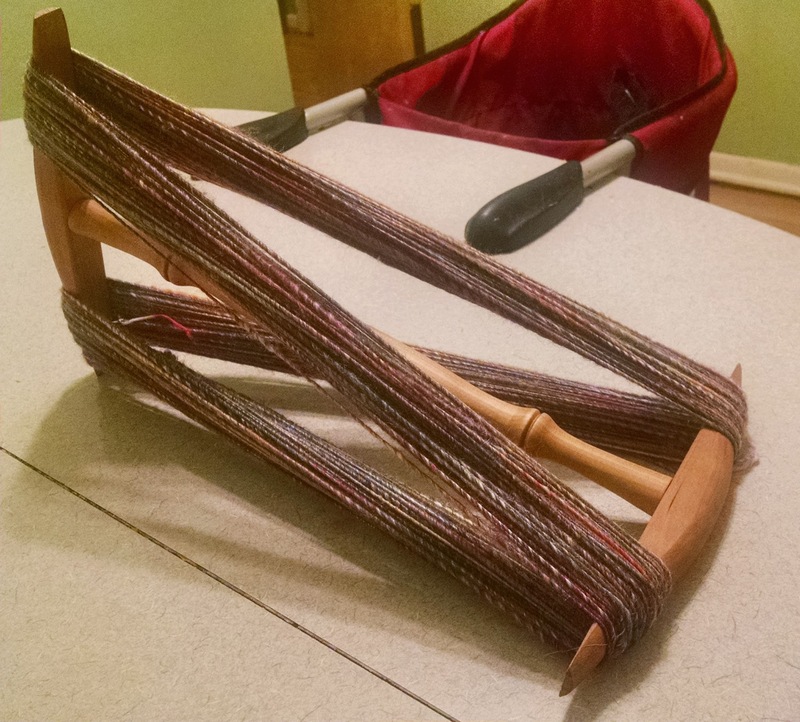 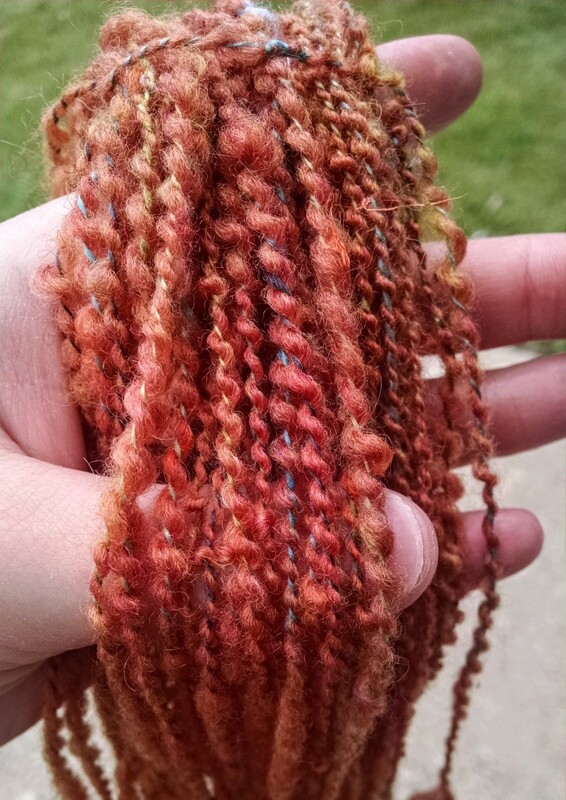 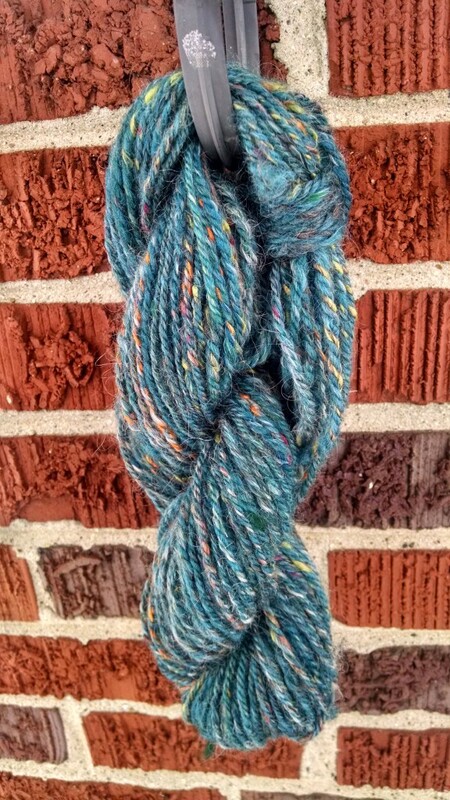 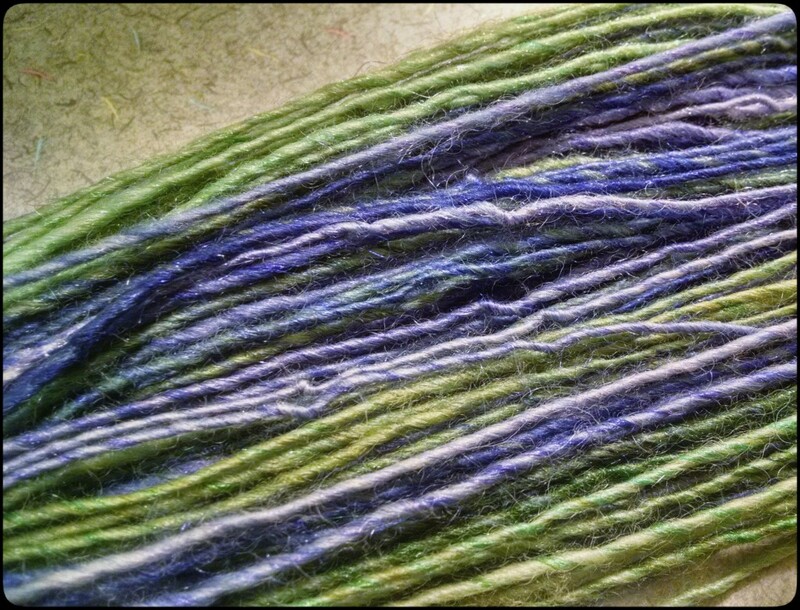 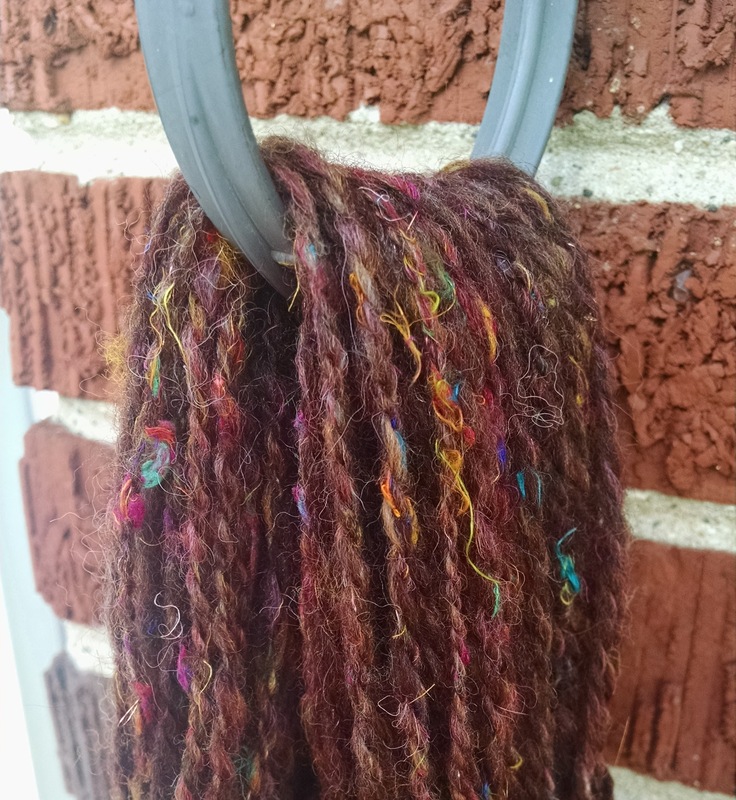 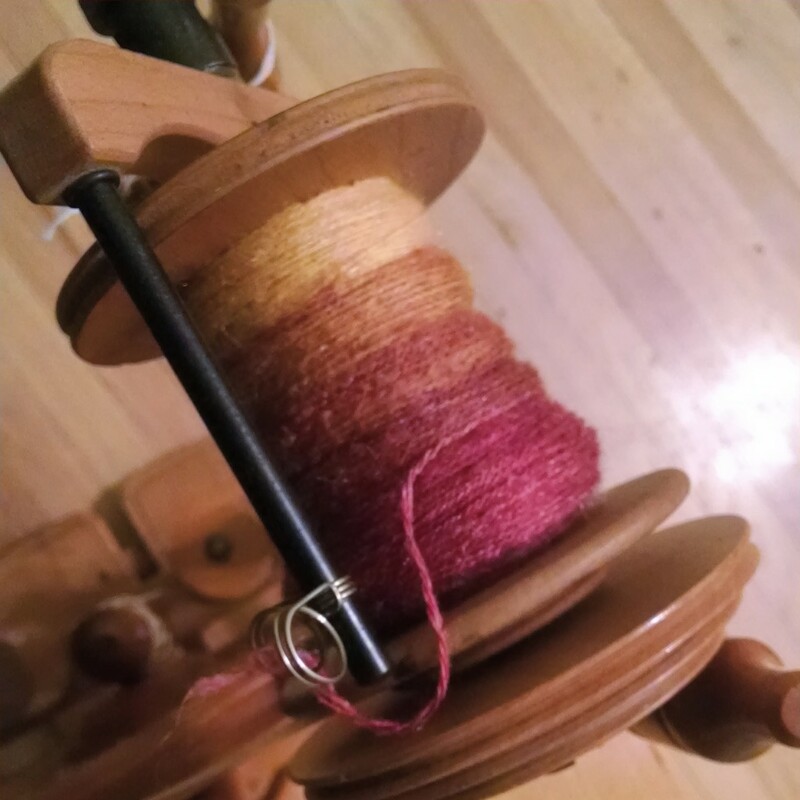 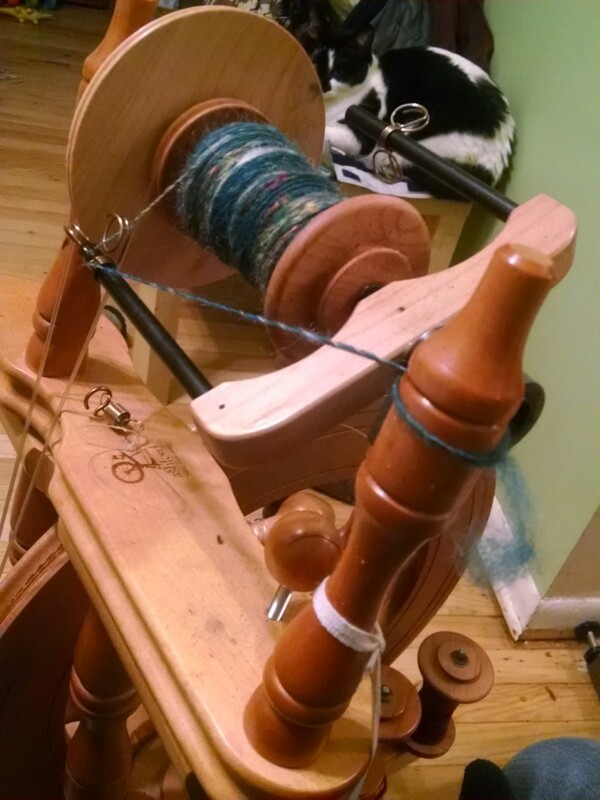 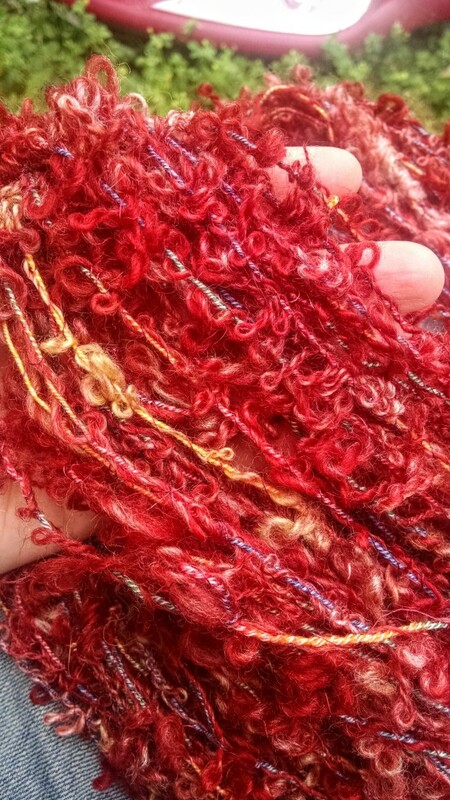 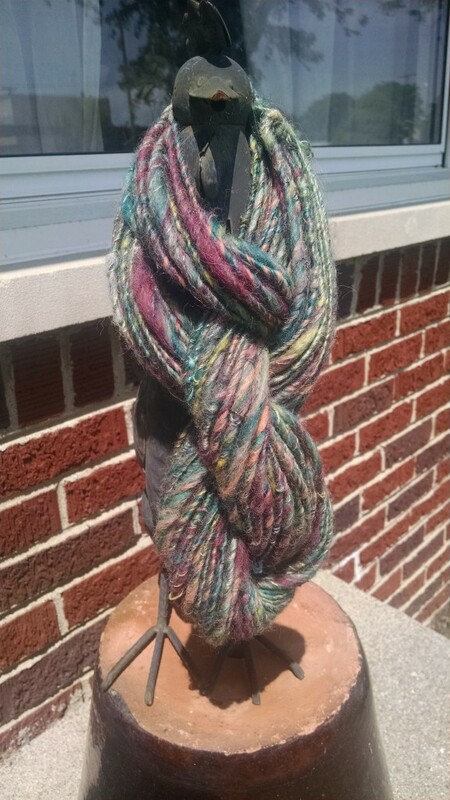 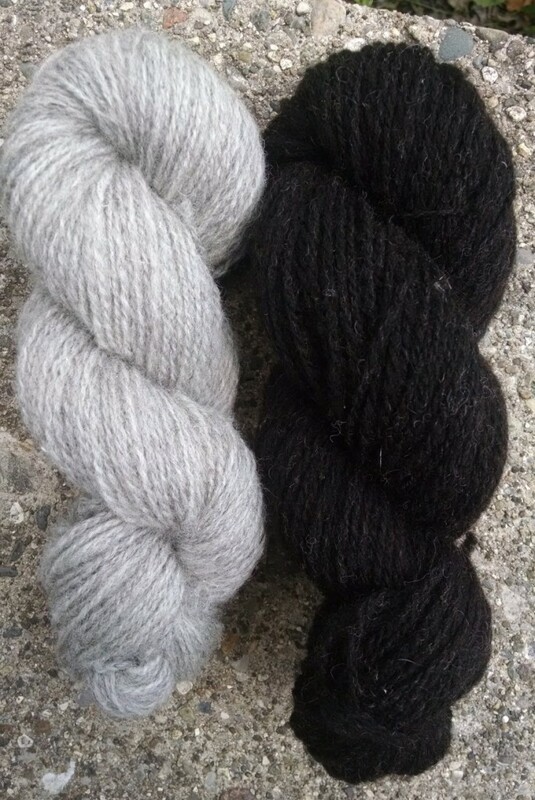 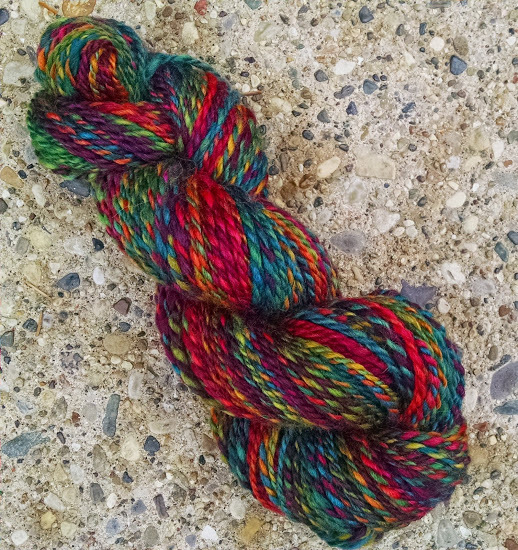 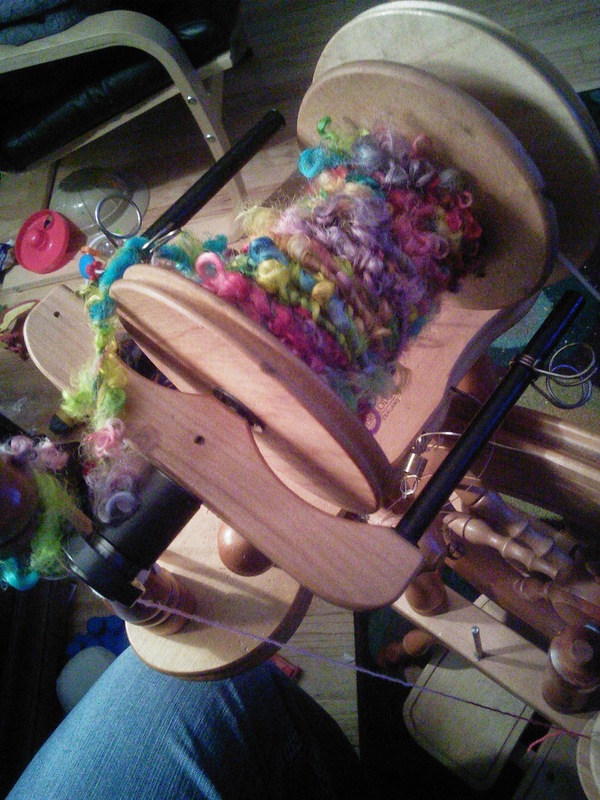 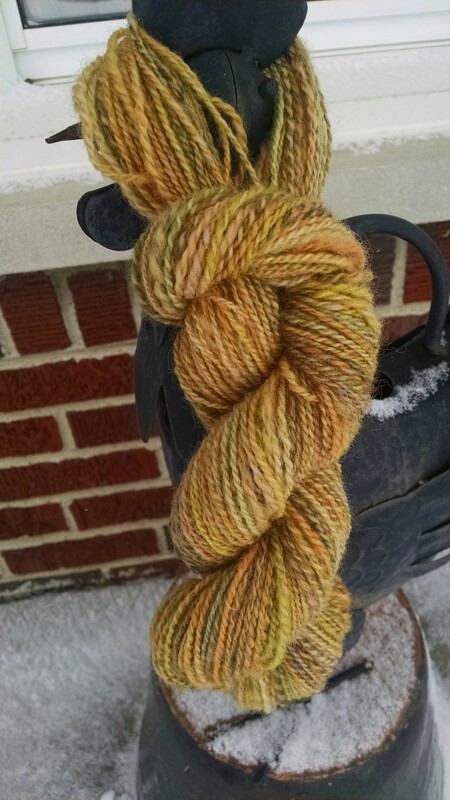 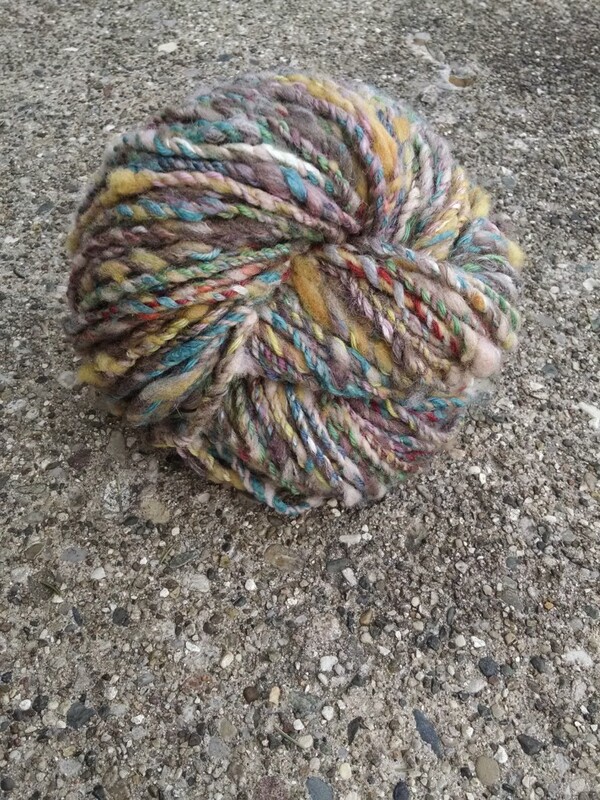 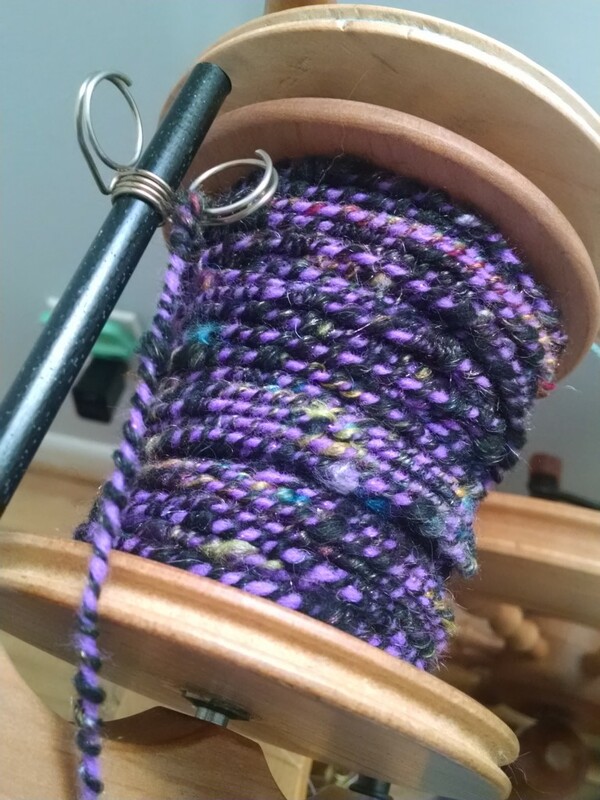 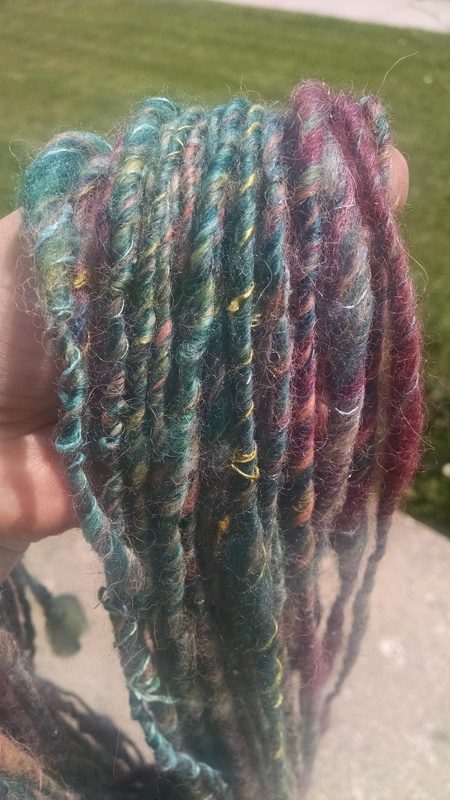 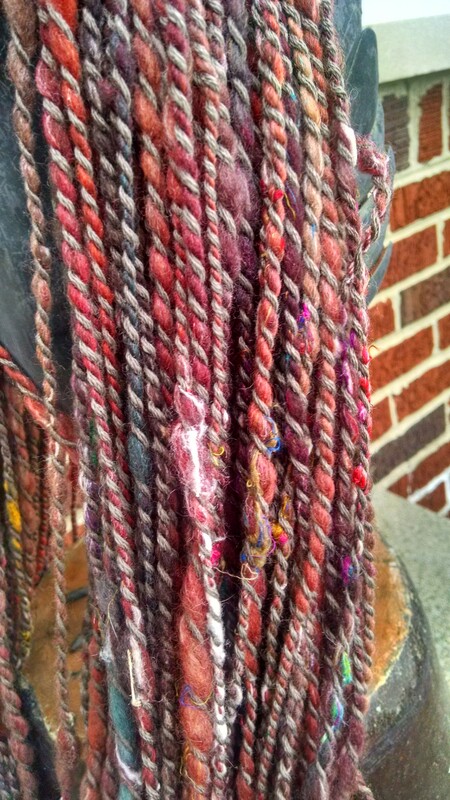 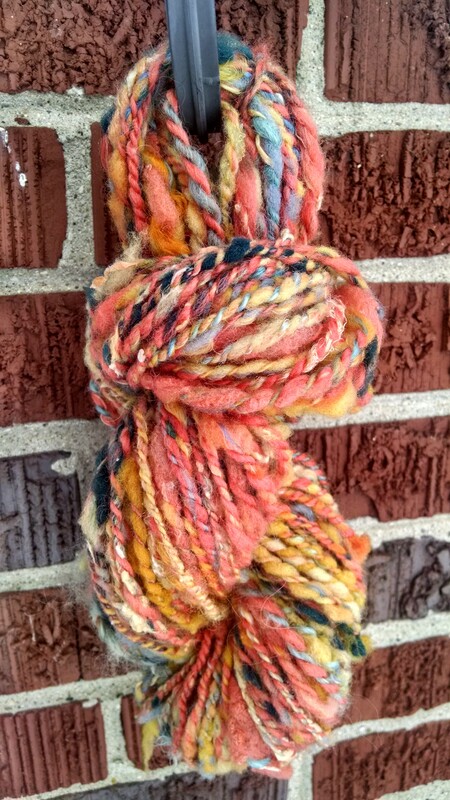 I spun two bobbins of thick and thin singles, plied one with some Pattons sock yarn, and then crepe plied that with the remaining bobbin of singles.